Warning - Changing this habit could lead to better health and saving money. Did you know diet soda is more addictive than cocaine? I know. That’s a serious accusation, but it’s true. And like drug addiction, soda addiction can destroy your body. Here’s why. First, diet soda contains artificial sweeteners. Usually, cola companies use Aspartame - which is, interestingly enough, on the EPA list of dangerous chemicals. This potentially carcinogenic chemical disturbs the body’s natural ability to regulate eating based on the sweetness of foods. What does that mean? Well, you may be overeating because your body thinks it’s eating sugar, and you want more. 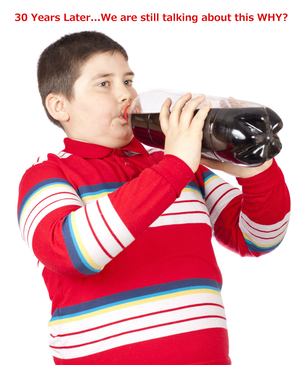 To boot, diet colas often contain caffeine, which in and of itself is addictive. Put the two together – the caffeine and the artificial sweetener – and you have a recipe for out-of-control eating. Next on this list of diet soda evils are benzoates. These chemicals, found in diet sodas, actually destroy DNA. The chemicals can damage cell mitochondria to the point that it’s irreparable. Benzoates are also irritants to the eyes and mucus membranes, such as the digestive tract. Now think about actually ingesting the stuff. Are you getting a little nervous? Third, diet soda is so acidic, it eats away at teeth. Diet soda is also associated with increased risk of kidney decline. It’s all about the chemicals, including the caffeine, which is dehydrating. Research shows that the plastic sugars increase waist size, which is considered to be a risk factor for diabetes. There is also an article on the U.S, Medical Library that can help with understanding why there is so much continuing confusion on this issue. When my clients come to see me, many of them are looking to improve their health by changing what they eat and drink. Or, they want to lose weight. One of the first things I ask them is if they drink soda. If the answer is no, well, that’s good. Not only are those folks saving their bodies, they are saving money. The nutritional rules of engagement are these: put the good stuff in, keep the bad stuff out and compensate for everything else. Diet soda is near the top of “the bad stuff” list. If you are ready for a change, I can help you identify good and bad stuff and work with you on your health goals. Call me today at 540-428-1949, or email linda@The-Healthy-Zone.com.